Jbeil or Byblos is an ancient phoenician city located about 35 Kilometers (23 miles) north of the capital Beirut in modern day Lebanon. 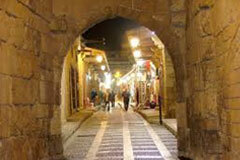 The city has been declared a UNESCO World Heritage Site and 1stArab touristic city for 2013. It is a part of the southeast section of the historic city, near the entrance of the archaeological site, is an old market where tourists can shop for souvenirs and antiques, or simply stroll along the old cobblestone streets and enjoy the architecture. 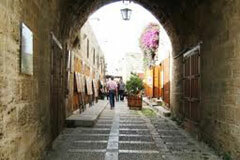 Byblos is has many restaurants and cafes, including Lebanese, Chinese food and fast food restaurants . Byblos Old port is also home to many restaurants that mainly serve sea food from which you can have a great-panoramic sea view. The old souk in jbeil also contains many great side-way cafes and restaurants with a great view and a romantic atmosphere. 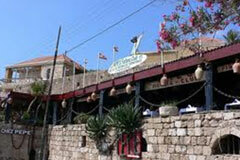 These restaurants are located on the Mediterranean Sea, one of the oldest restaurants in Lebanon. It's the perfect place to have a great lunch or romantic dinner. Decorating the walls are pictures of many international personalities that have visited the restaurant, including Brigitte Bardot, Jaques Chirac, Marlon Brando, Frank Sinatra and FragaIribarne. Other Restaurants are located in the old souk area. They have both a French and Italian Menu. 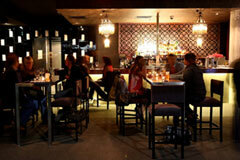 They serve excellent Lebanese wines, and the Italian food is authentic and tasty. 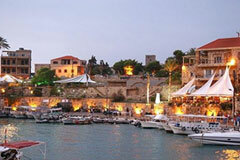 Jbeil has plenty of open air bars and clubs, which are usually open starting mid May or as soon as the weather starts to get warm. These pubs and bars provide music (mostly English music), drinks and a great atmosphere in a wonderful surrounding, they are mainly located in the Old Souk. Prices mainly range from 10$ to 30$ (around 5 USD for a beer). And you can always go have a free walk among these side by side pubs.